So it’s finally summer! Armed with two beach vacations under my belt, I believe I am ready to dish my list of essentials for a sunny getaway. If you hadn’t noticed already, I am a huge fan of bronzing. Personally I don’t think pasty white legs or face for that matter looks very beach worthy. So for a skin safe option (Cos nobody wants to run the risk of getting skin cancer), I like to pack a bronzer or two. Golden and glowy, the safe way. This is a very light bronzer to add just a hint of warmth to your face. I usually use the top two stripes. And the top most stripe (which is the lightest) contains a very light shimmer and imparts a radiant glow (You can use it alone as a subtle highlighter). The last stripe if used by itself is great as a summer blusher or defining your cheekbone a bit more for a soft contoured look. Bottom line, it’s a very finely milled luxurious product that’s of good quality. I highly recommend it. Next up, I want to share something i’ve been loving for a while now, not only is it conveniently packaged for travel. It’s also a quality product that works! 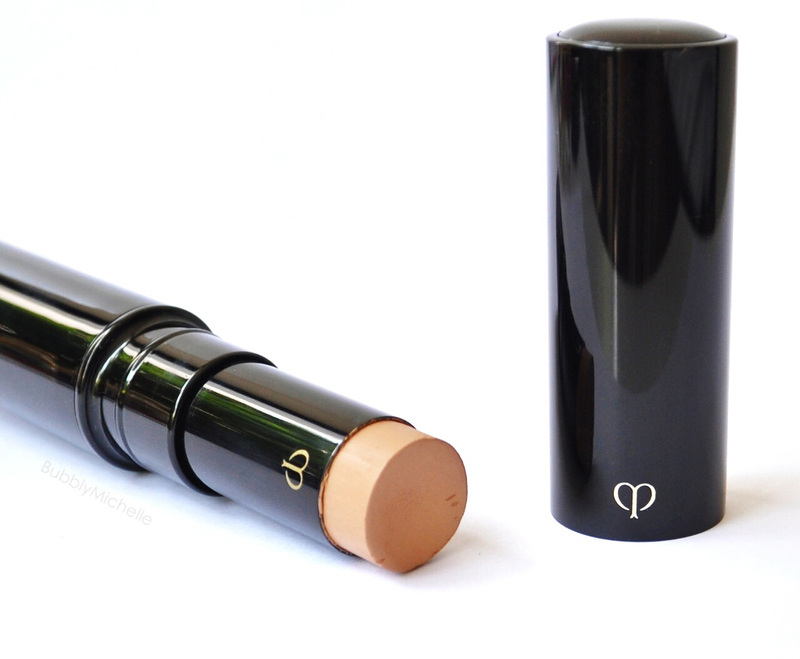 The Cle de Peau Concealer. 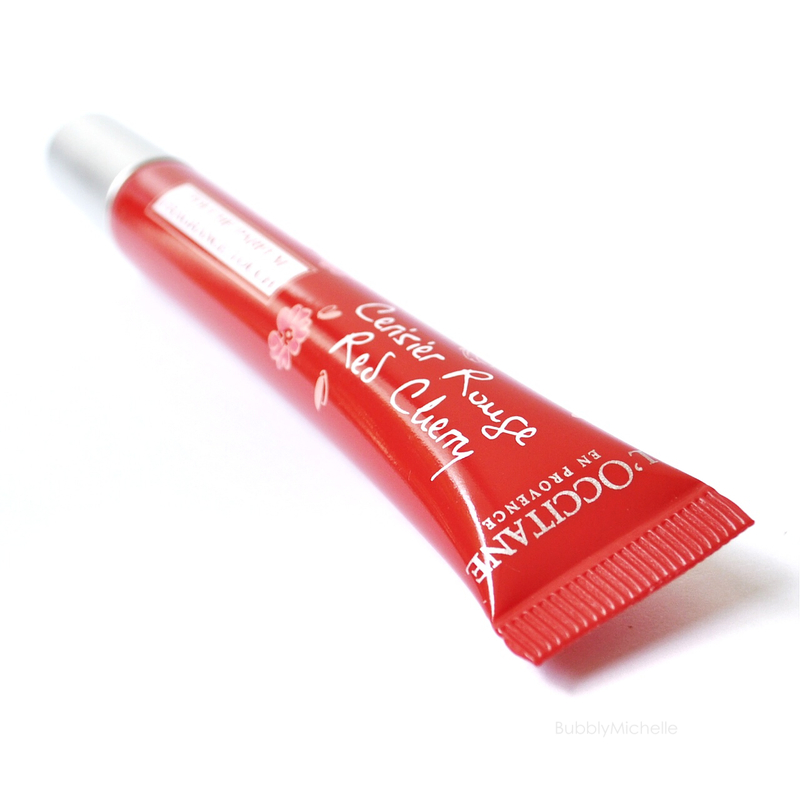 Needs no introduction, and is indispensable for covering up any blemishes or dark under eyes circles. I usually don’t wear foundation while on vacay as I like my makeup fresh and light and this is perfect for covering up the nasty little blemishes that may pop up and evens out the complexion. If your budget permits, it’s worth picking up! Another summer favourite are cream blushes. They are perfect for adding colour without the powdery feel. And usually longer wearing and budge proof compared to their powder counterparts. 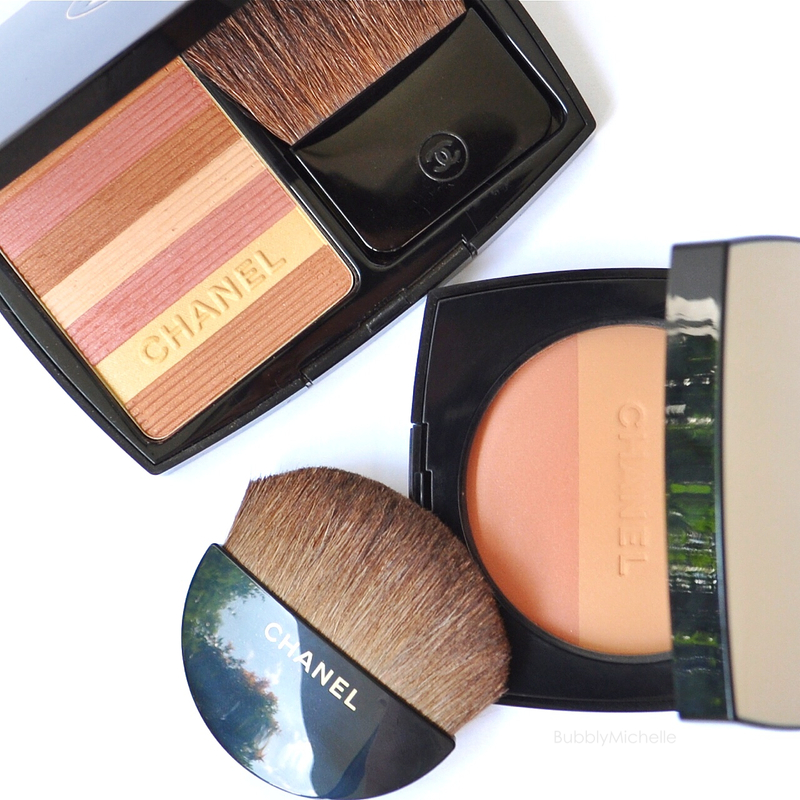 My personal favourites are coral blushes, and Chanel Intonation is the perfect bright coral to rock with your freshly acquired tan. It’s super easy to apply (I just use fingers FYI ) and get a believable, natural flush every time. Just make sure you pat and blend well so that you don’t end up with a harsh streak of blush across your cheek. For eyes, the obvious. Water proof mascara. It’s a must have for keeping your eyes looking defined and wide open. I usually never wear waterproof mascara, but always pick one up during the summer months specially for hitting the beach. One of the best out there are by Helena Rubinstein. 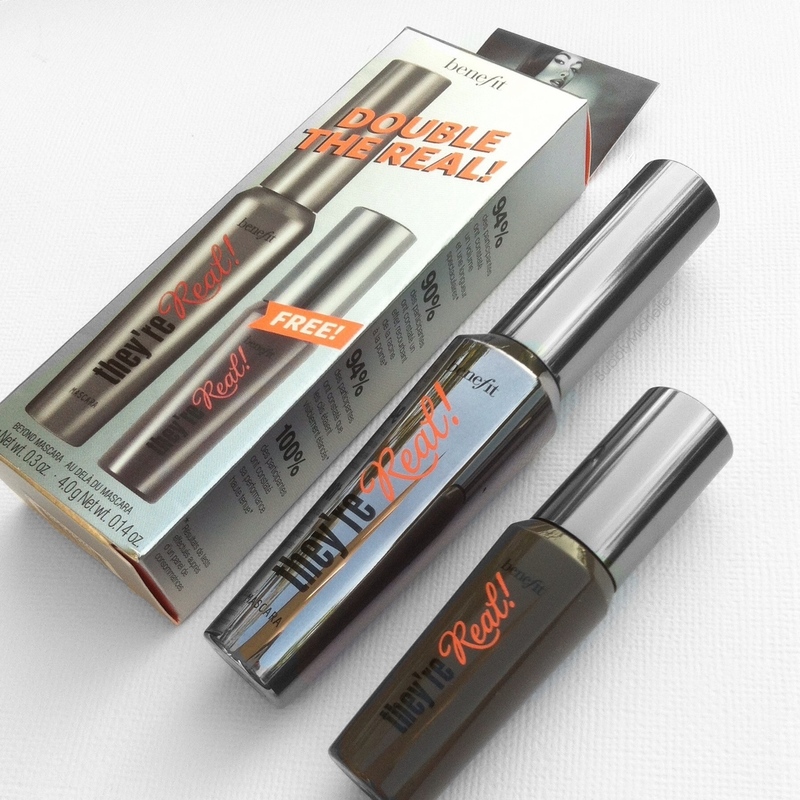 Her line of mascaras are HG material. And I love them. They last all day and are budge proof. Another eye essential is colourful bright eye liner. Somehow every year this trend keeps coming back and I really love it. It’s a great way to add a fun touch of colour to define your eyes and draw attention to them. For waterproof versions, the Stila ones are great and they come in a load of gorgeous colours. My current favourite is this pretty, light blue liquid liner I packed last weekend for my trip to Krabi. 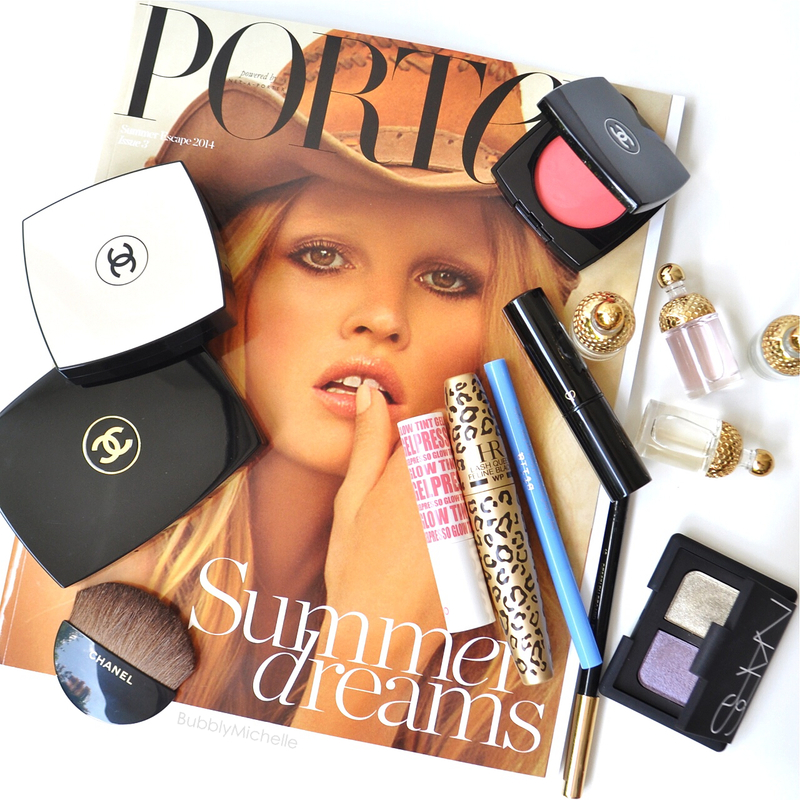 So eye shadow is not something i’d consider a summer vacation staple. But if there was one eyeshadow I recommend you take on your beach vacay, it’s Kauai. Kauai was a LE duo that came out this spring and if you didn’t pick it up.. ooops! you missed out on something amazing! The gold and purple combo is soo buttery smooth and the pigmentation was out of this world. 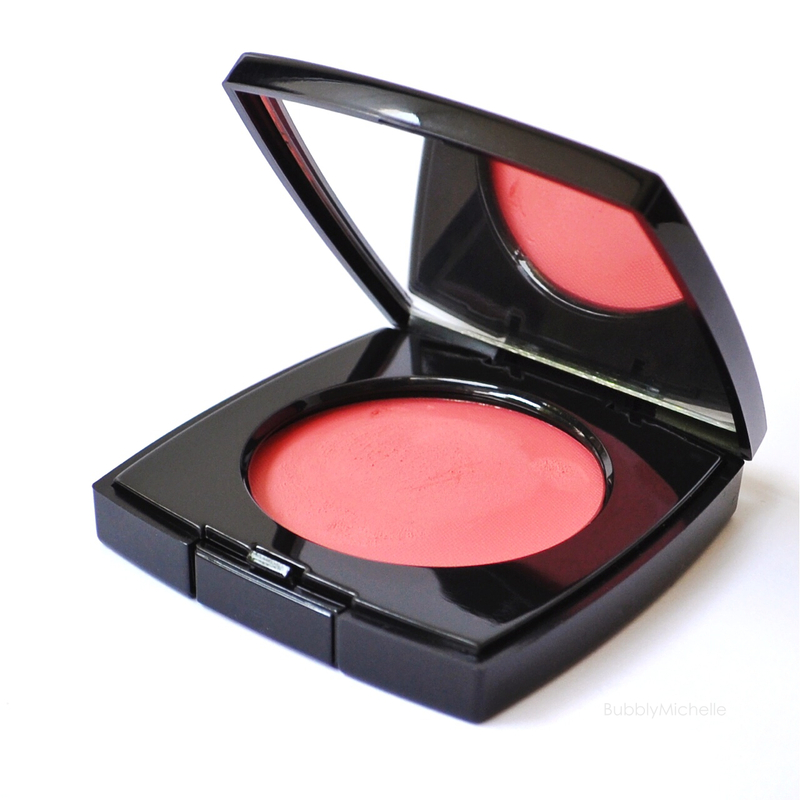 It is by far my favourite Nars duo ever. 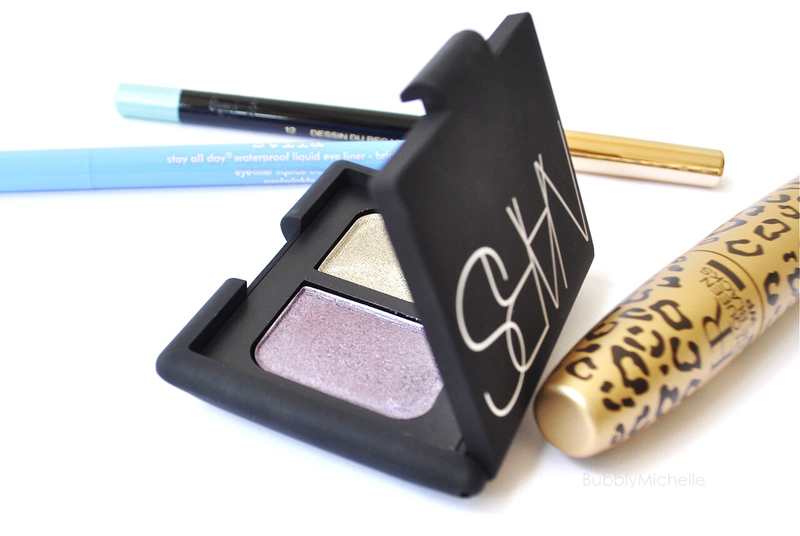 The gold in this is perfect for a wash of colour and I paired it with this pretty aqua blue YSL liner from Summer 2014 for a quick eye makeup look. The purple shade was great for night time, and creates a very fresh smoky look when paired with the gold. So I packed a few bright lipsticks, but none of them ended up being used! But guess what I did use everyday as my go-to lip colour? 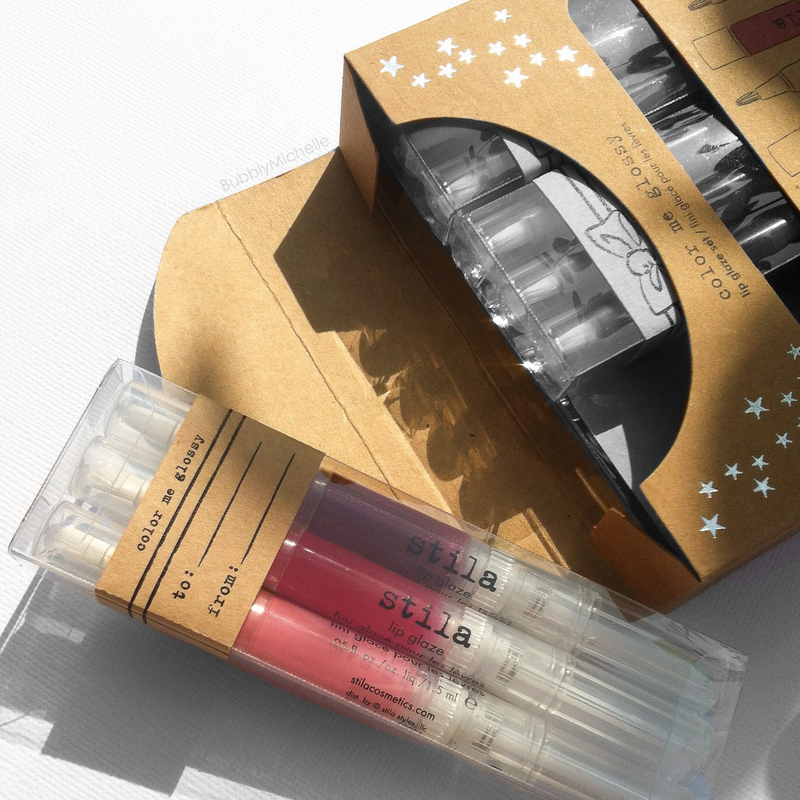 This new lip tint by Clio! It was an unexpected find while on a routine visit to the drug stores. 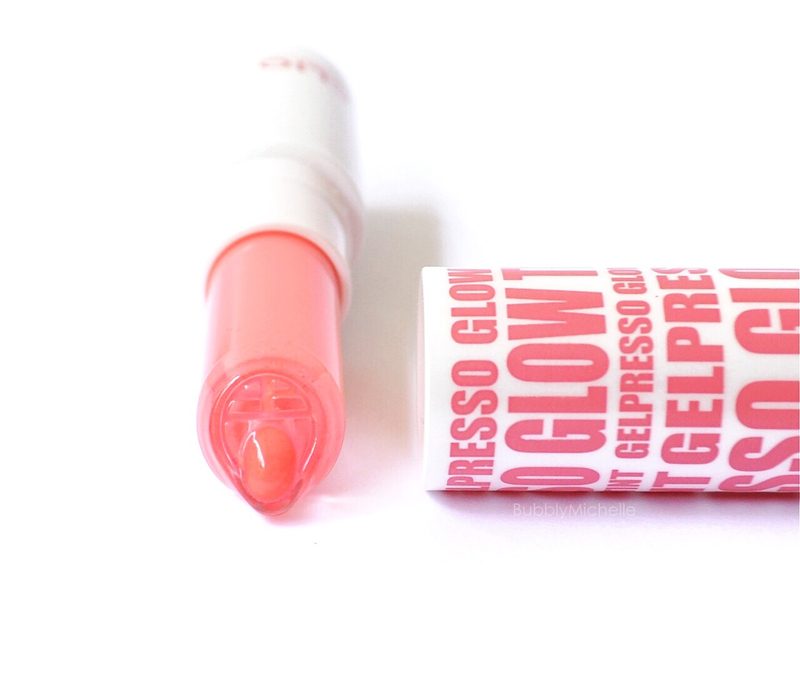 I love that it’s quite moist on the lips and feels feather light and undetectable due to it’s watery texture. This is one of my top favourite products this summer and very budget friendly, and I highly recommend it. 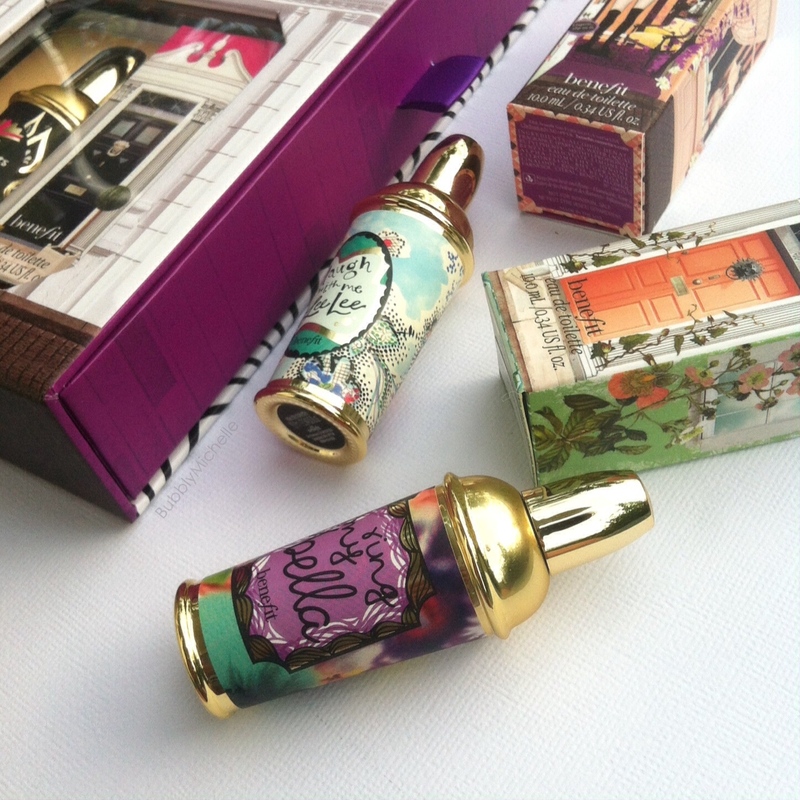 Lastly here are some new summer fragrances that I have been enjoying. 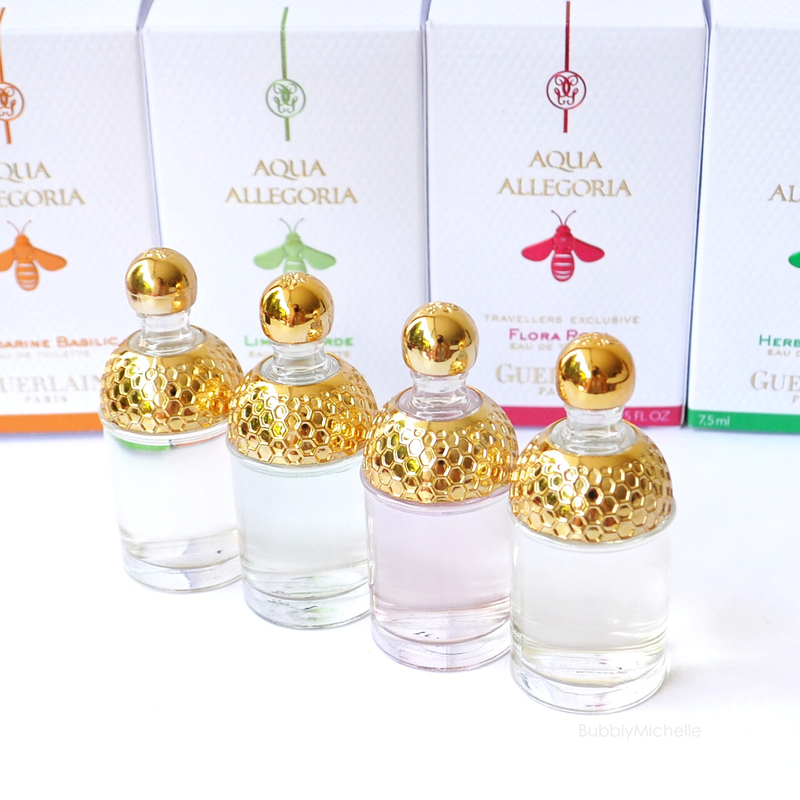 Below is a lovely little travel set of Guerlain EDT’s that released for summer in the DF. It comes with 4 fragrances that are light and fresh. The Manderine Basilic was my favourite and has a very uplifting effect. Perfect for a quick splash in the mornings to wake up the senses before heading out. Also another great makeup bag essential I chanced upon is this gel type perfume by L’occitane. 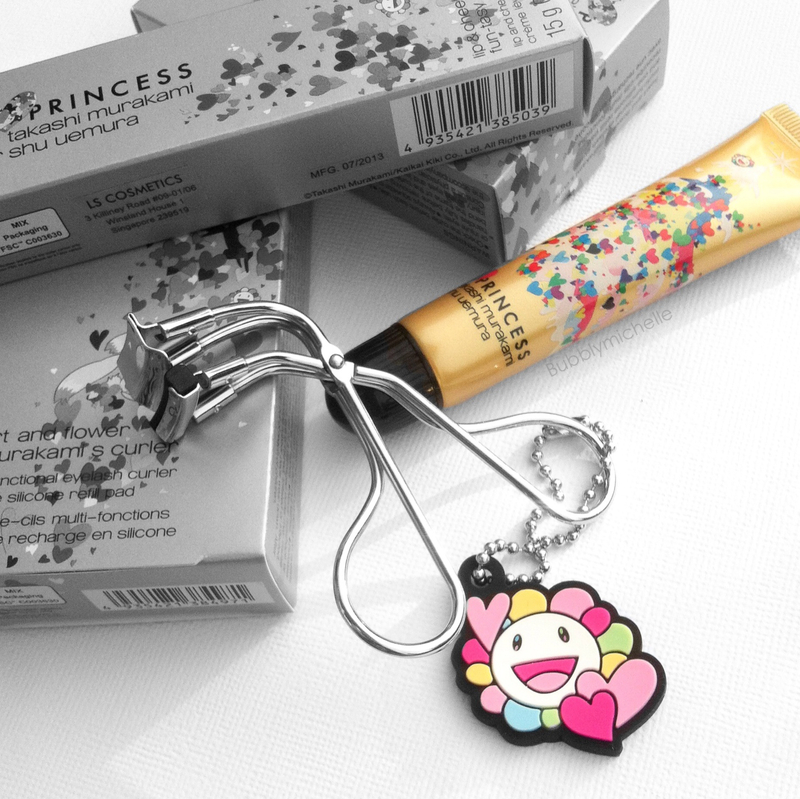 I love the convenience of this type of packaging as its’ spill proof and great for mid day touch ups. Plus the gel is quite interesting so it caught my eye! haha I just had to have it. The fragrance is very fresh and slightly sweet. And if you are someone who like more feminine scents, this one’s for you! So that’s what I have been enjoying this summer. Of course if I find more interesting summer goodies i’d be sure to keep you informed. But for now, these get my stamp of approval as they are of excellent quality and travel friendly.